Asian Games 2018: Shooters continue to impress in the Asian Games with Deepak Kumar securing the 3rd medal for India after an incredible comeback from the 5th position at the end of the 1st stage. Deepak clinched silver, while Ravi Kumar secured 4th position in 10m Air Rifle event. 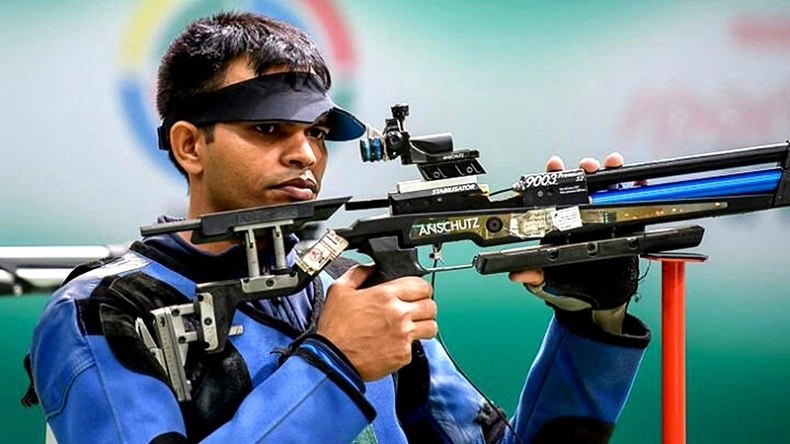 Shooter Deepak Kumar bagged India’s 3rd medal at the Asian Games 2018 when the 30-year old made an incredible comeback from 5th position after the 1st stage to clinch silver. Deepak finished 2nd with a total score of 247.7 while China’s Haoran Yang won the gold with an Asian Games record score of 249.1. Ravi Kumar finished fourth with a score of 205.2. India were on cloud 9 when Ravi and Deepak both made it to the finals of the 10m Air Rifle event. Ravi, who won India’s first medal in this year’s Asian Games with Apurvi Chandela in the mixed team event, started strong on being 2nd spot after the 1st stage. However, the 2014 Asian Games bronze medallist could not maintain the accuracy in the shots and slipped to 4th position. On Day 1, Apurvi Chandela and Ravi Kumar opened India’s medal account at the Asian Games 2018 as they claimed bronze in the 10m Air Rifle Mixed Team event. The duo aggregated 429.9 after 42 shots in the 48-shot final and was in the second spot for major part of the 48-shot finals before China overtook them to take the silver. “This bronze has come only because of Apurvi. The final was a disappointment after a decent qualification. We didn’t get enough time to train together,” Ravi was quoted by ANI after the event as saying. On Day 1 of the Asian Games, while most of the wrestlers witnessed setbacks, including Olympic medallist Sushil Kumar, Bajrang Punia wrestled gold for India in a pulsating match.